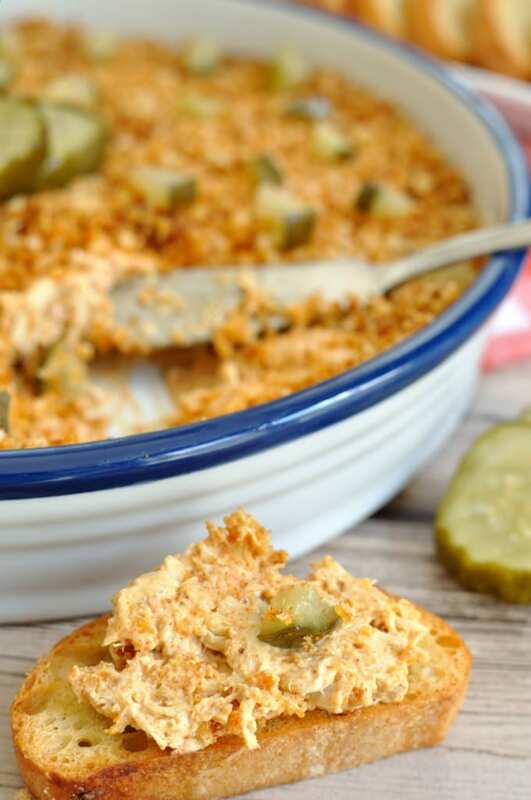 A spicy chicken dip with crunchy topping and diced pickles is sure to please the spicy food fans in your crowd. This Nashville Hot Chicken Dip is a unique spin on the now famous Nashville dish and makes for an easy appetizer. Don’t worry- the heat level can be toned down if desired. Traditional Nashville Hot Chicken is fried and then slathered with a spicy paste consisting heavily of cayenne pepper. 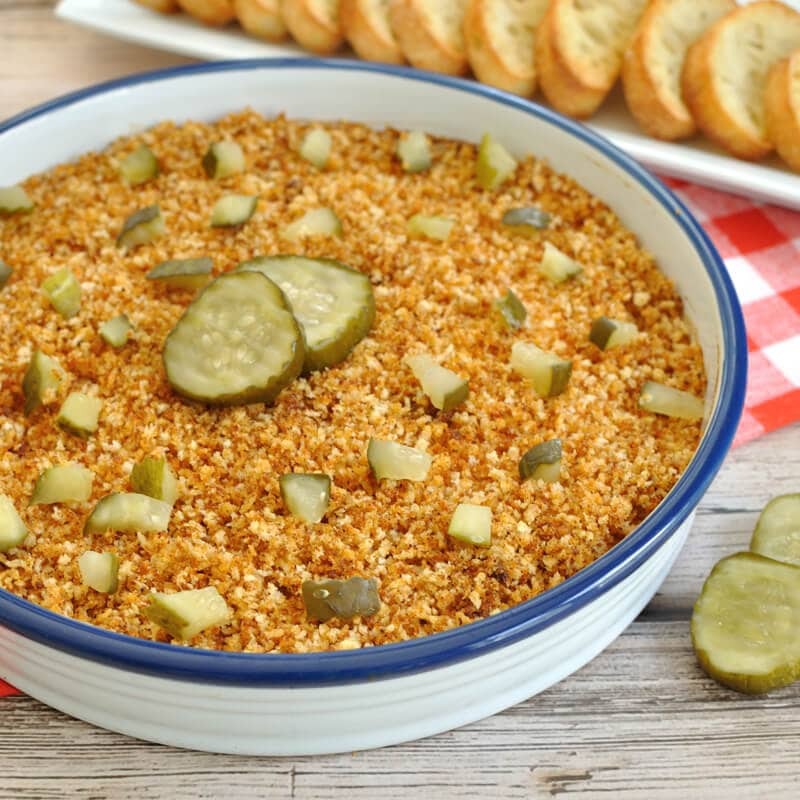 It is then served on slices of white bread and topped with bread and butter pickles. Talk about taking fried chicken to a whole other level! 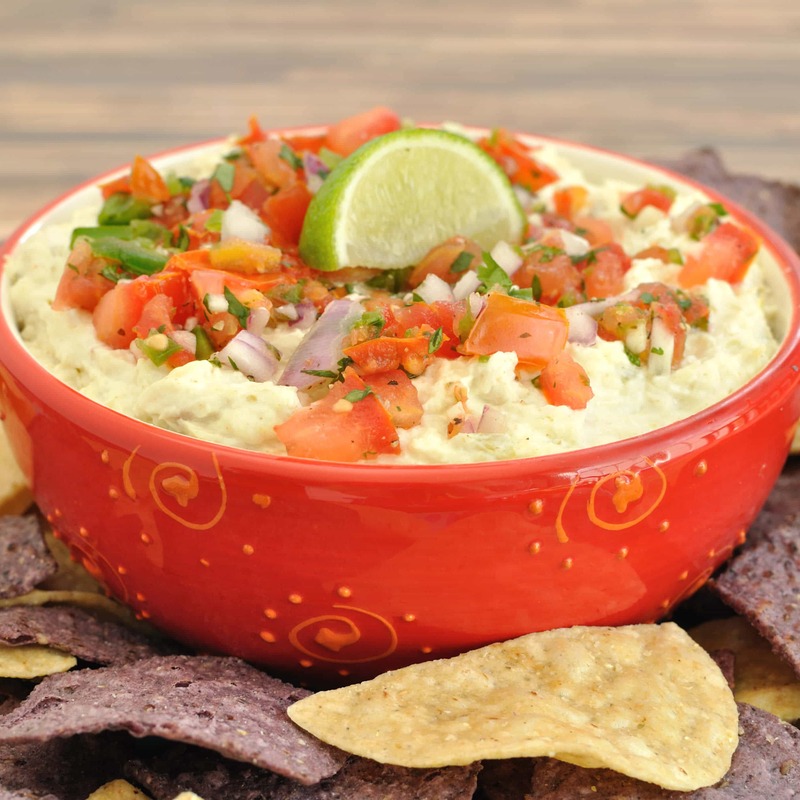 In case you can’t tell from the name, this dip has a kick and is very SPICY. 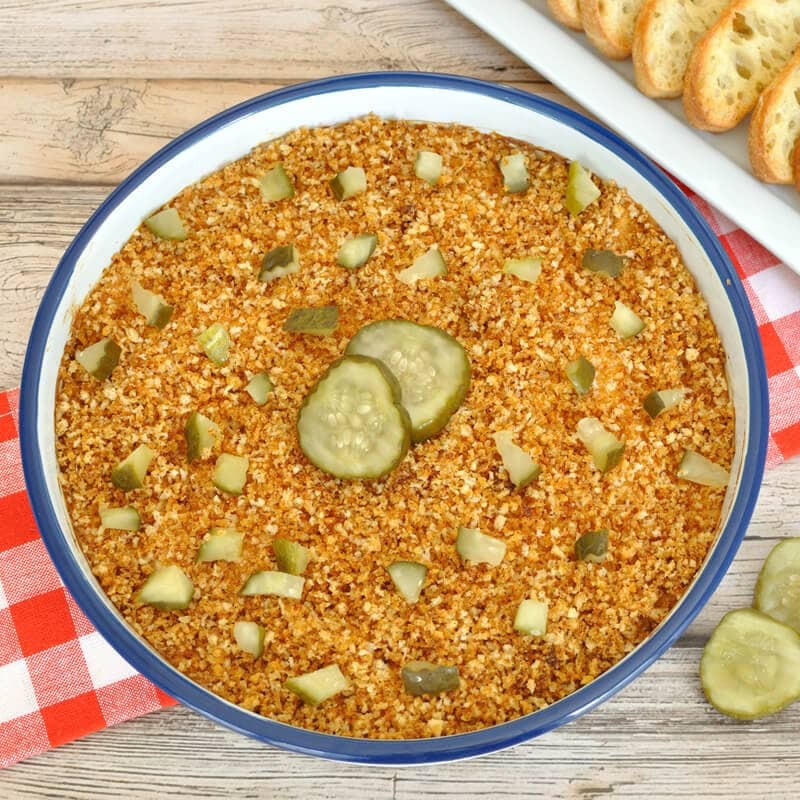 It is Nashville HOT Chicken Dip after all! I will warn you that if you don’t like spicy hot food, you may not be a fan of this one. 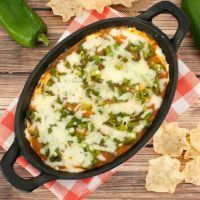 If you still want to try it, but can’t handle a lot of heat, I do recommend that you use less cayenne pepper than I call for in the recipe. 1 or 2 tsp of cayenne will yield a slightly milder version. 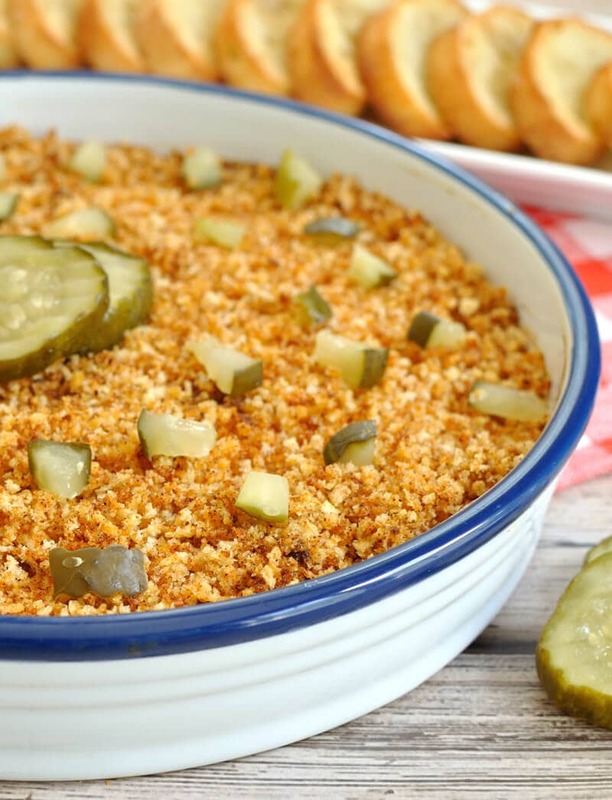 To incorporate the full Nashville Hot Chicken experience, this dip is topped with diced bread and butter pickles and served with bread. Mix together cream cheese and buttermilk until creamy. Add in half of the spice mixture and mix until well combined. Fold in shredded chicken. 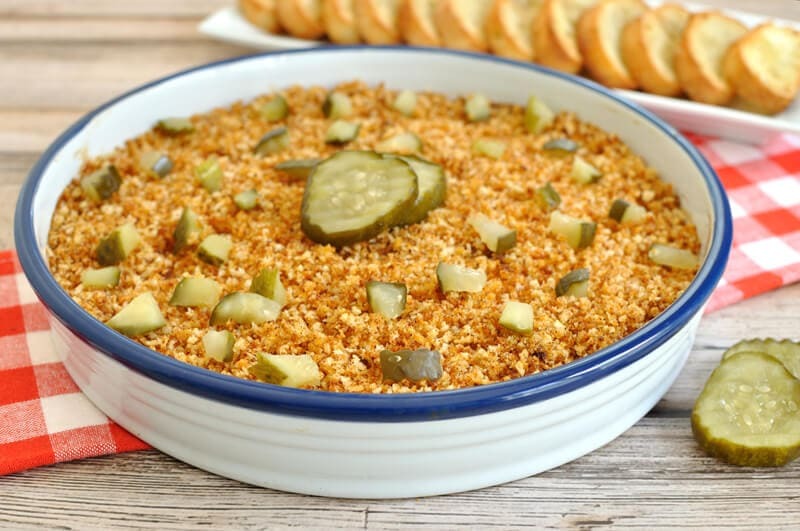 Place bread crumbs, melted butter, and remaining spice mixture in a bowl and combine. 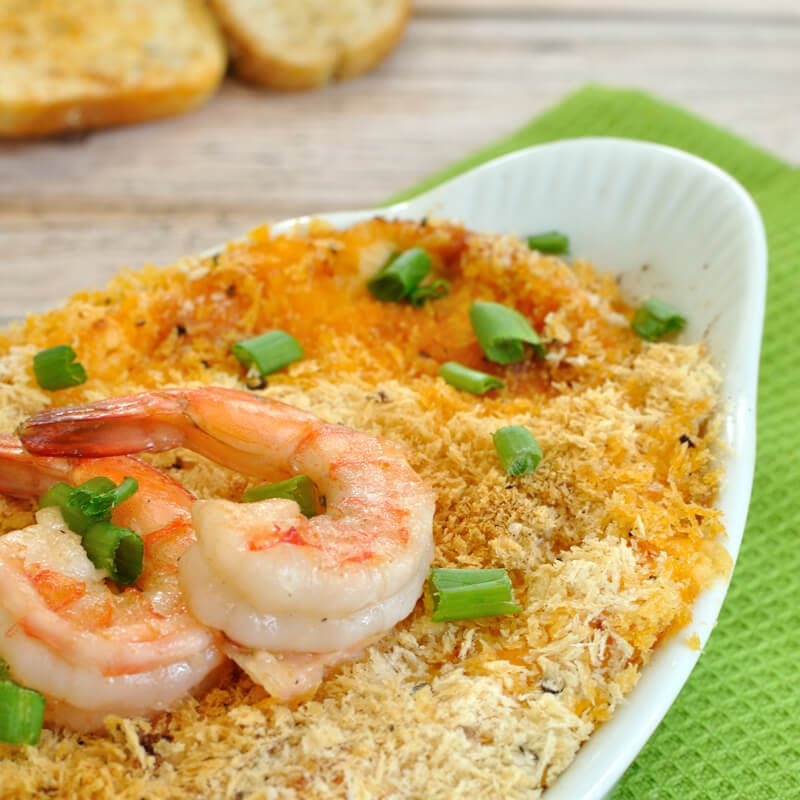 Spread bread crumbs evenly over top of the dip. Bake for 20 minutes or until the dip is heated through. from Serendipity and available on Amazon.